When you donate blood, you help people like Kamila stay healthy and strong. Saving Lives Today. Improving Life Tomorrow. 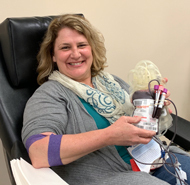 Thanks to the generosity of blood donors, people in our local hospitals are able to get the blood they need when they need it. 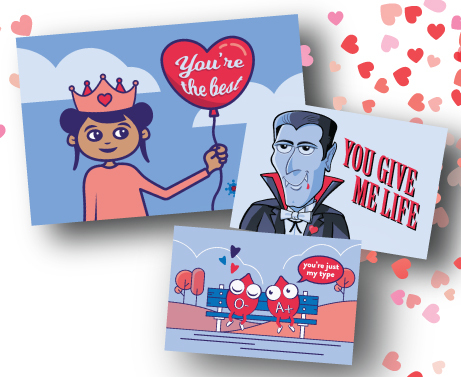 Get a special valentine and take some home to share when you donate blood this month.